Hurricanes Maria, Harvey, and Irma took lives and pummeled the economies of the affected areas. 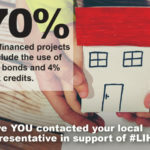 The impact of these natural disasters could extend to Low Income Housing Credit (LIHTC) projects if the proper measures are not taken within a specified time to ensure that projects meet development benchmarks or if affordable housing properties that are damaged by natural disasters are not restored. Staying in compliance so that credits can continue to be claimed after a disaster is key – but the relief provided by the IRS to maximize a project’s ability to allocate credits as anticipated depends on whether the LIHTC project was placed in service prior to the disaster or is still under construction. Internal Revenue Code Sec. 42 specifies that, in any given compliance year, if a LIHTC property’s qualified basis at the end of a tax year is less than the basis at the end of the previous year, the taxpayer will be subject to tax credit loss and/or recapture. Fortunately, losing or recapturing LIHTCs can be prevented if the property damaged in the natural disaster is restored within a reasonable period of time – and if other conditions related to compliance are met. Developers may be wondering what constitutes a “reasonable” restoration period. The reasonableness standard is set by each state housing finance agency. Although the reasonableness standard varies by state agency, according to Rev. Proc. 2014-49, the period cannot extend beyond the 25th month after governmental declaration of a disaster for a county. According to Rev. Proc. 2014-49, to determine the credit amount allowable during the restoration period “an Owner must use a building’s qualified basis at the end of the taxable year immediately preceding the first day of the incident period for the major disaster.” According to Steve LeClere, Tidwell Group Senior Manager, “for an existing property, the primary issue for developers is how to maintain delivery of credits to investors as contemplated in the partnership agreement while restoring damaged units so that tenants can return to their homes as quickly as possible.” The relief provided by Rev. Proc. 2014-49 allows developers to focus on restoration efforts with the knowledge that if they restore the damaged units within the reasonable timeframe described above, credits will continue to be allocated to the investors at the level allowed by their qualified basis prior to the casualty event. If a developer fails to rebuild after a casualty event within the timeline set forth by the allocating agency, then pursuant to Rev. Proc. 2014-49, “the credits, if any, for the year of the reduction are determined using the reduced qualified basis, and the taxpayer’s federal income tax liability for the year of the reduction is increased by the credit recapture amount prescribed in Section 42(j)(2).” In addition, the developer may be subject to additional penalties under their partnership agreement. Many investors include provisions which would require that a general partner repurchase the portion of the investor’s interest attributable to the tax credits that will not be received going forward or which are subject to recapture. These provisions often include punitive interest rates in addition to the amount of tax benefits that the investor is no longer able to claim. Determining the types of items that need to be reconstructed – e.g. – roofs, reframing, etc. Developers are challenged to complete reconstruction within the confines of insurance proceeds while at the same time, meeting compliance timelines and requirements as prescribed under the IRC Sec. 42 tax credit rules and state finance agency compliance requirements. Therefore, planning and execution become key and having the right contractors and LIHTC advisers for guidance become integral to the successful maintenance and continuation of tax credits allocated to an affordable housing development. How do I meet my placed-in-service deadline within the two-year period under IRC Section 42? How do I meet my 10% test within the required time period? State agencies have the discretion to grant extensions for both placement in service deadlines and 10% test deadlines in a federally declared disaster area. The extension is typically six months and covers certain geographical areas or counties. The IRS will treat a LIHTC property as having satisfied the 10% test or the placed-in-service deadline per carryover if the extension is granted – provided that the 10% test or placed-in-service date is met within the extension timeframe. Even with the relief provided by the IRS and allocating agencies regarding these deadlines, developers still face potential penalties due to construction delays resulting in later delivery and lease-up of the project which will result in delayed delivery of LIHTCs to investors. These penalties are typically referred to as timing adjusters and are standard provisions of LIHTC partnership agreements and are intended to compensate an investor for the value of the anticipated credits which are not delivered in the anticipated year but instead are delayed to later in the credit period. The time period after a natural disaster is understandably chaotic. Planning and confidence in the vendors that developers use become essential during a period where unknown variables can be costly. Safeguarding LIHTC credits is of utmost importance and doing so requires knowledge of the right strategies to employ along with identifying consultants and contractors that can execute in a timely fashion. 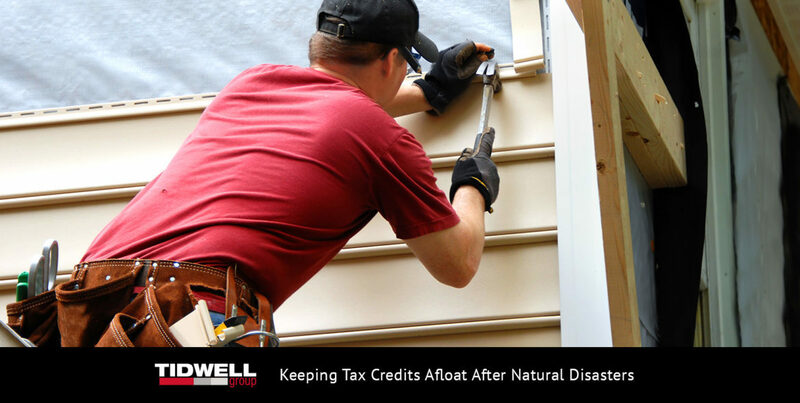 Tidwell Group assists with maintaining the tax credits of numerous LIHTC projects. With our headquarters and several offices in the southeast, we have particular know-how with state agencies in the states that have been hit hardest by recent natural disasters. There are many factors to consider regarding LIHTC properties impacted by natural disasters. 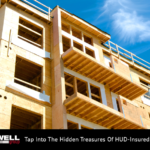 To learn more about the factors that may impact your developments and to gain insight on how to mitigate potential risks to your properties, please contact Steve LeClere at 512.693.2180 or steve.leclere@tidwellgroup.com .